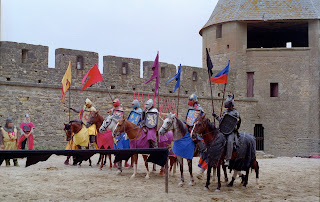 Children, often as young as 2nd or 3rd grade, are fascinated by medieval times. 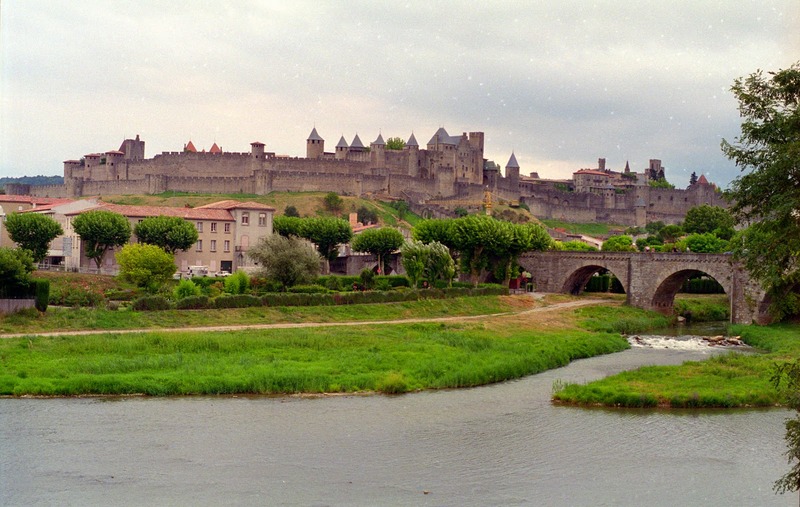 An exceptional place to fulfill all medieval fantasies is Carcassonne in southwestern France. The city is convenient to reach by train from either Paris or the French Riviera. Carcassonne is separated into the old city on a hill, La Cite, which lies completely within an enormous fortress, and the newer, lower city outside the castle walls. To immerse your family in the medieval experience, stay in one of the inns inside the fortress walls. The fortress, some of it dating back to the 1st century, includes over 50 stone watchtowers. Tours are offered in English, but it’s just as captivating to spend some time walking the walls on your own. Along the narrow cobble-stoned streets within the old fortified city you will find cafés, restaurants, gift shops, and a historical museum. But most intriguing of all are the year round street exhibitions. Lavishly costumed knights and nobles stroll the lanes and interact with the tourists. 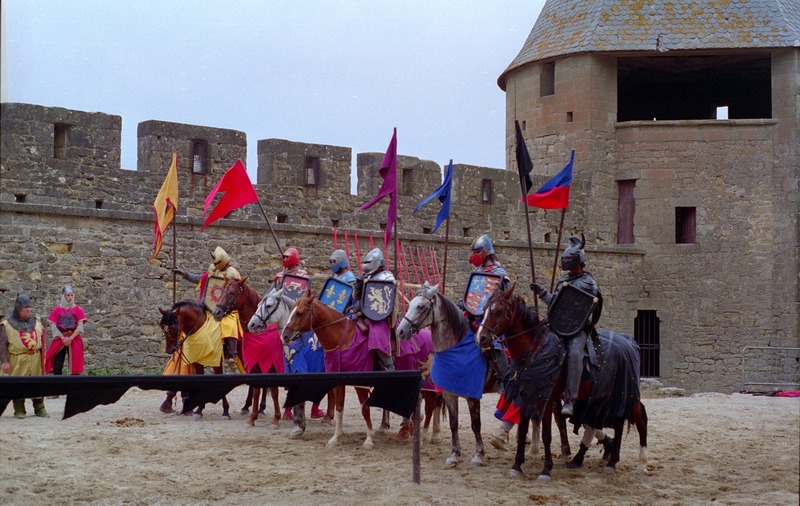 Elaborate jousting battles on horseback take place regularly, demonstrating various feats of skill with a lance and other medieval weaponry. There are also falconry exhibits with these birds of prey flying right over your heads. All street shows are free to watch. If you’d like to check which demonstrations might be scheduled during your visit, email the Carcassonne tourist office. Absolutely the best local dish I’ve ever eaten, in the best local setting, was dining on the regional bean stew, cassoullet, inside La Cite, Carcassonne. The dish itself dates back to the 14th century, so sitting in a dark restaurant cellar eating duck or goose cassoullet by candlelight is truly a cultural, and delicious, experience. After my husband and I returned home to the U.S., we once asked a Carcassonne native we know here if she ever makes cassoullet. She scoffed no, in America she just can’t find good duck fat! 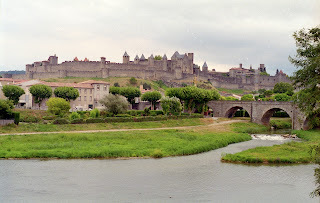 Carcassonne is one of my favorite cities in Europe. Good job pointing this one out!